Have you been thinking about taking advantage of the Cash for Clunkers program? If so, you’d better hurry… Transportation Secretary Ray LaHood has announced that the program will end at 8PM on Monday due to dwindling funds. This program has been a mixed blessing for the auto industry. The cash incentives have resulted in increased sales, but reimbursement delays have simultaneously created a financial burden on cash-strapped dealers. Some dealers have already dropped out of the program due to cash flow problems created by the delays. It’ll be interesting to see what happens to new car sales after the program ends. I’m guessing that these rebates did little more than cannibalize future sales, such that car lots will be a very lonely place by next week. Then again, because the clunkers must be destroyed, a used car shortage could help prop up new car sales. As an aside, charities that depend on used car donations are none too happy about the clunker-destruction requirement. Yes, cash for clunkers did stimulate new car sales. Unfortunatley, it did it at the expense of car repair shops, used car dealers, auto parts stores, car donation charities and the poor. Short-term this program is good for the automakers, auto-dealers (assuming they get paid) and those who got a discount on a new car funded by the taxpayers. However, longer term, encouraging consumers and the government to take on more debt when they are already maxed out is not a good thing. Destroying functioning assets that are paid for does not make good economic sense. Shifting future demand into the current quarter will leave dealers and automakers hurting in the coming quarters. It’s hard not to question the wisdom of these attempts to artificially manipulate the marketplace. Goodâ€¦, as they say, all good things come to an end. Actually, this could be considered a BAD thing b/c itâ€™s CRAZY, we are giving people money to live more vicariously and lavishly than before all this economical bust took place? What are we doing? Spoiling every single last American? Letâ€™s learn to live in moderation, then we wouldnâ€™t have so much debtâ€¦Well, the fish sticks from the head..so the head is the While Houseâ€¦right? I may be wrong but I fear that the Cash for Clunkers program will, in the long run, end up hurting many, many more people than just the used car dealers. I have several reasons for believing this. The first reason deals with who, exactly, were driving the “clunkers” to begin with. Lets face it, if you are driving around in one of the vehicles that qualified for the program, chances are you are either just starting out in life, actively trying to reduce current personal debt or not a high income earner. To put it more bluntly, this program served, for the most part, people who are broke. The second reason I believe will lead the program to hurt people is which vehicles qualified for the subsidy. The clunkers were traded in for new, fuel efficient vehicles. The key phrase there was NEW. So lets think about this logically considering the first two points. 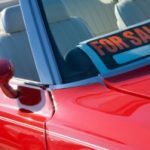 It stands to reason that enticing people to buy a new vehicle when they are broke will lead most of the participants into car loans and the associated car payments. Add into the equation the current unemployment situation (ie: greater than normal job risk) and the fact that vehicles WILL depreciate in value faster than any other large purchase and things, in my mind at least, start looking pretty bleak. Does anyone else see a red flag here? Does this really seem like a wise idea? Well, the government seems have done their best, just as the Inside Line says: As a sales motivator, Cash for Clunkers has certainly been good for stimulating car sales. But the government can only do so much to help. Although the program would end before we expected, and only run for a couple of weeks, it do contribute to the car industry, General Motors is enjoying a recent sales uptick and Chrysler had announced it would increase its production. You are absolutely correct. This just pushed future sales into the present. It also affected other retail areas as new car owners will direct money to the new auto loan rather than clothing, electronics, dining out, etc. As you hear the press applaud this program, just remember the government cannot create wealth. They take from one to give to another, or they pull future consumption to the present…all at the cost of the taxpayer. It amazes me how quickly this program ran out of money.